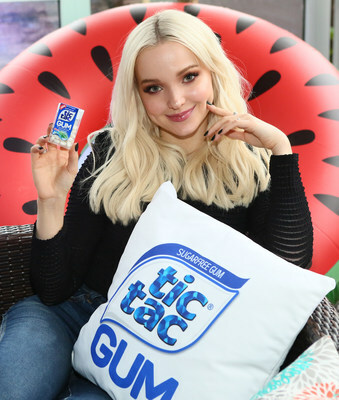 PARSIPPANY, N.J., March 21, 2018 /PRNewswire/ — Tic Tac Gum celebrated the start of spring with actress, singer, and longtime fan of the Tic Tac® brand, Dove Cameron, in NYC yesterday. Since its launch in early 2018, Tic Tac Gum has been enjoyed by many with over seven million packs sold. 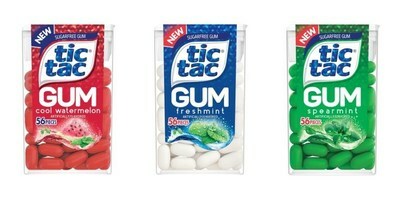 In stores now with the iconic Tic Tac® shape and size, it’s everything fans love about Tic Tac® mints, now in a gum. Tic Tac Gum has a refreshing and delicious taste that gives you a burst of confidence to go into any social situation so you can just Chew and Play™. As you chew Tic Tac Gum, you will experience the same unmistakable sensation of a Tic Tac® mint – a sweet, crunchy shell on the outside and the delicious, refreshing flavor on the inside.